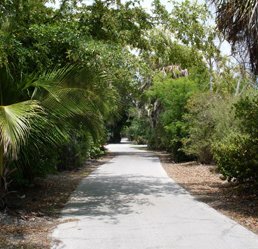 Sanibel Island possesses some of the most beautiful and unique environments in the world. 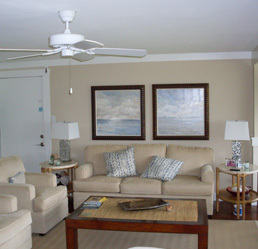 Not surprisingly, Sanibel’s real estate market includes some of the finest homes and condos anywhere. 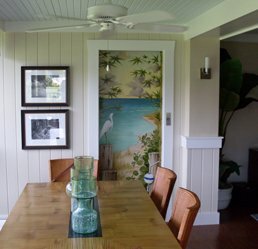 Residential property for sale on Sanibel typically offers a mix of elegant design and a relaxed atmosphere, while blending in with the island’s natural beauty. Because Sanibel is such a special place there continues to be a steady demand for homes and condominiums for sale on the island. Sanibel real estate is prized. As Sanibel’s number one exclusive buyer agent and a Sanibel & Captiva Islands Specialist I can assist you in finding your island home. Sanibel is a barrier island sanctuary with a year round population of just over 6,500 people. It is reached by a three (3) mile long causeway connecting it to Fort Myers, Florida. 67% of the land is conserved for wildlife and natural habitats. Sanibel’s shell and white sand beaches stretch for over 15 miles and the island is listed as one of the top three shelling islands in the world. Scenic shared-use paths make the island accessible by bike or foot. Nature preserves and the J.N. “Ding” Darling National Wildlife Refuge provide miles of hiking or biking through abundant wildlife. You can canoe or kayak through Tarpon Bay and unspoiled waterways which are home to dolphins, otters, manatees and hundreds of birds. Sanibel is known for its superior bird watching and is a destination for avid birders from around the world. Arthur Frommer, the founder of Frommer’s Travel Guides named Sanibel Island as his favorite worldwide destination beating out Paris! As well as being an island sanctuary, Sanibel Island offers a rich diversity of culture from art galleries & museums to concerts and theatre, in addition to golf and tennis. At the end of the day island style nightlife includes a variety of cafes, bistros & restaurants. The City of Sanibel incorporated in 1974 in order to protect the island from rampant development and to preserve its natural beauty. Sanibel residents had seen the mistakes that other coastal communities made by developing too intensely and were determined that Sanibel would not suffer the same fate. Working together as a community they formulated a nationally recognized comprehensive land-use plan, called The Sanibel Report, which was based upon the preservation of the beaches, mangroves and wetlands. After retiring from the practice of law I began representing real estate buyers in the area. I am an accomplished negotiator and a designated Sanibel & Captiva Islands Specialist. © 2019 Mike Badenoch, Exclusive Buyer Agent.